The Temporomandibular Joints (TMJ) are the jaw joints. They are paired joints acting together and are located in front of your ears. The TMJ connects your mandible or lower jaw to your skull. They are small but complex joints, having a basic ball and socket form but with a disc between the two bony surfaces. The disc acts as a cushion for the forces created when chewing and divides the joint into two compartments. The joint is controlled by a group of muscles and is affected by the occlusion or closure of the teeth forming a complex mechanism that also interacts with the muscles and posture of the neck. 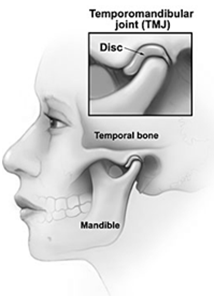 Temporomandibular joint dysfunction (TMD) can be divided into problems of the joint and disc or problems of the muscles. It can be affected by malocclusion (poor bite), poorly fitting dentures or changes in occlusion such as during orthodontic treatment. Trauma such as blows to the face or head, falls or whip-lash type injuries can result in TMD. The pain from TMD can be difficult to manage as it is impossible to rest the TMJ and is involved in critical daily tasks such as talking and eating. WHAT HAPPENS IN A TMD CONSULTATION? Assessments are conducted by Physiotherapists and involve a thorough verbal and hands-on component conducted in a private room. The assessment will assess joint function and joint stability, tongue position, head and neck posture and swallowing pattern. 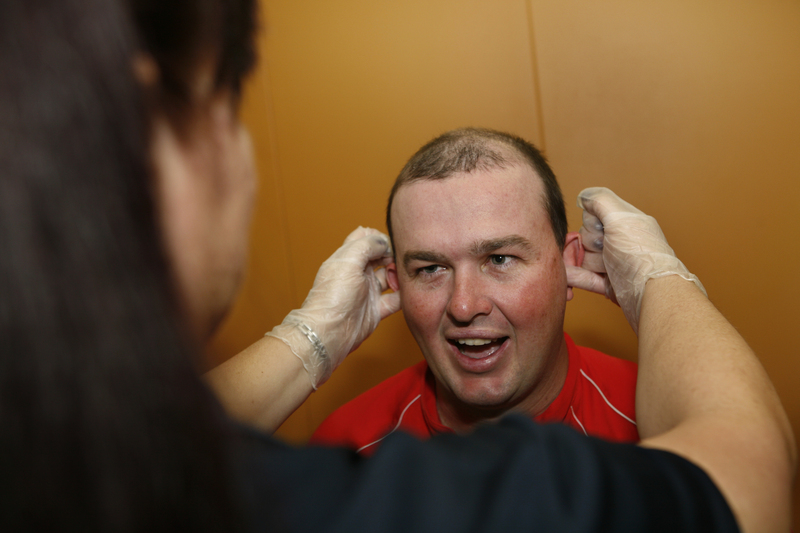 Treatment involves education as well as hands-on treatment such as joint mobilisation and soft tissue release. Exercises and postural correction will play a key role in treatment. Patients should bring all x-rays of the head and neck to their appointment. In-services and education sessions provided to dentists, doctors, nurses, allied health providers, clients and the community upon request. If you are concerned that you may have a TMJ problem please complete a quick survey. This survey has been designed to assess the function of your jaw joint and determine treatable elements of your TMD, thus assisting to develop a management plan. The screening survey will take 5 minutes to complete and your answers will be confidential. Fill out the survey online click send appointment request and it will be emailed directly to Rathmines Physiotherapy and Sports Injury Centre.